When you contact us, we’ll begin the termite control process by sending one of our experienced technicians to perform a free, no-obligation termite inspection. We’ll carefully assess your home to identify critical infestation sites and then provide you with an honest report along with our recommendations. Whereas most companies use fumigation to treat termite infestations, Kilter offers a much more convenient alternative. We use the KILGUARD system, which targets infestations directly and does not require toxic fumes. You’ll be able to remain in the comfort of your home throughout the entire process, as our system is safe for people, pets, and even plants. Most importantly, the KILGUARD system is proven effective at eradicating termites and preventing them from returning. We back this claim with a two-year warranty, providing you with peace of mind that your home is protected. 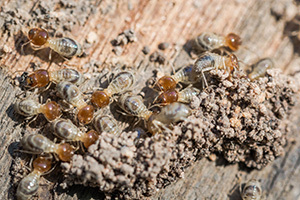 Learn more about the termite treatment services that Kilter Termite and Pest Control provides to homeowners in La Habra, CA, by contacting us today. When you do, also ask about the termite damage repair services that we can provide from our team of highly skilled craftsmen.